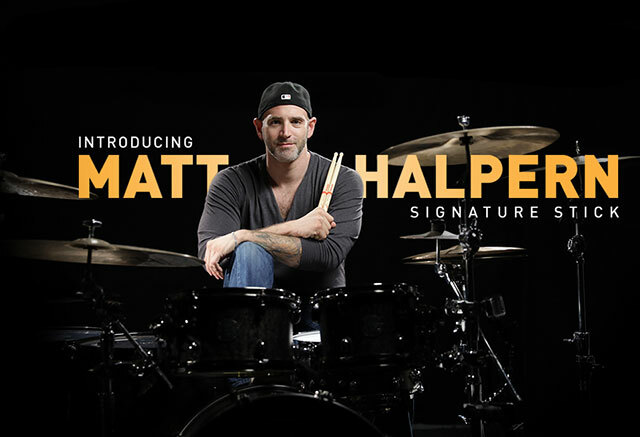 Promark is excited to announce the Matt Halpern signature stick. This stick – designed to the Periphery drummer’s specs – has a front weighted feel to optimize power and speed while producing full/robust tones from the drums and cymbals. The Matt Halpern stick is a standard 16” in length and .630” diameter. Although 2B in size this stick plays more like a 5B. The short taper and large round tip give this stick a well-balanced, front weighted feel to optimize power and speed while producing full/robust tones from the drums and cymbals. For more specs look here. 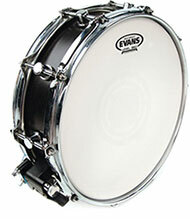 Evans Heavyweight heads feature a combination of two identical plies of 10mil film to provide maximum durability and a compressed attack while maintaining a wide dynamic range. The Reverse Dot lends extra durability, focus and attack in the center. Evans Level 360 technology is incorporated to extend the level playing surface of the drumhead, 360 degrees around the drum. 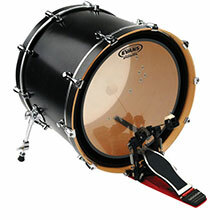 Detailed specs on this Snare head can be found here. Evans EMAD Heavyweight series features two plies of film. The combination of two identical plies of 10mil film provides maximum durability and a compressed attack while maintaining a wide dynamic range. The EMAD Heavyweight contains two interchangeable damping rings that maximize attack and low-end without removing the head or reaching inside the drum. After college Matt toured extensively with a couple bands and eventually joined up with instrumental group, Animals as Leaders. After performing with the group in 2009, Matt had the opportunity to join progressive metal band Periphery, and he’s been with them ever since. Performing and touring all over the world, Matt and Periphery have shared the stage with bands such as Dream Theater, Gojira, Lamb of God, the Dillinger Escape Plan, August Burns Red, Arch Enemy and many more. Related links: Matt’s Site, Periphery Site.